Oh, Best Buy. This afternoon, an unlikely source outed some official info on the LG Spectrum 2. Usually, a carrier such as Verizon or a manufacturer, in this case LG, would announce specs, pricing, and availability for a device. In a fortunate mix-up, Best Buy has done the unveiling. 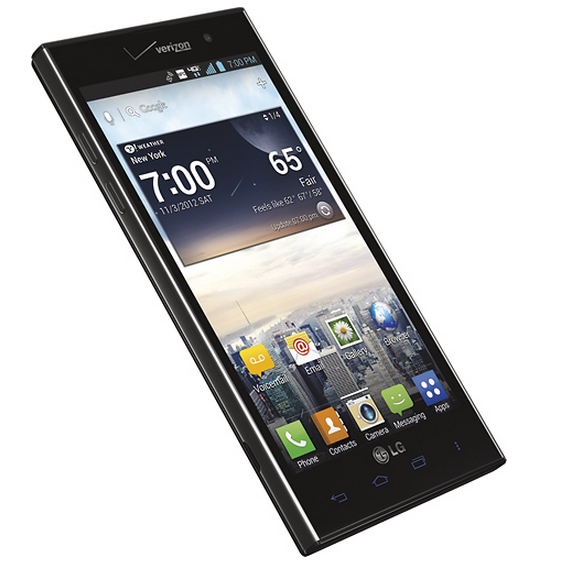 Before today, we had a pretty good idea, well we pretty much knew, that it was coming to Verizon with some specs that didn’t quite compare to the Optimus G’s, but more like the Optimus LTE2. Now, we know everything one may need to know before making a final decision on whether it’s buy worthy or not. According to Best Buy’s listing, the device features a 4.7″ 720p display, a 1.5GHz dual-core Snapdragon S4 chip (not the quad-core Pro variant), an 8MP camera, 1.3MP front facing shooter, Ice Cream Sandwich, and of course, 4G LTE connectivity. These specs are nothing to scoff at, but we won’t be seeing the quad-core and 2GB of RAM that the Optimus G packs on both AT&T and Sprint. So, what do you think? 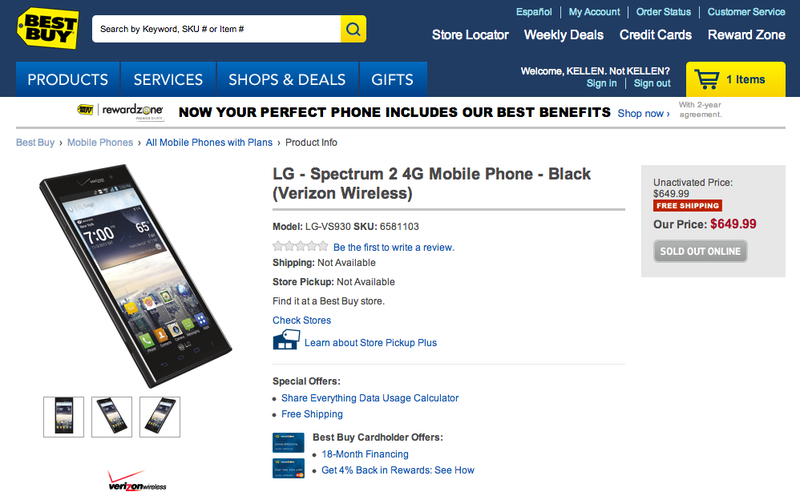 Once this device goes back on sale (it’s been pulled from BB’s online inventory), think you’ll jump on it? 8GB Nexus 7 Out of Stock at Google Play Store, 32GB Version Incoming?